Leading OEM Manufacturer of engine driven compressor from Ahmedabad. 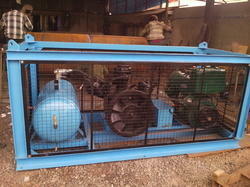 We are Manufacturing, Supplying Engine Driven Air Compressor Best Quality. Our Adroit Professional Design along with Best Quality. Furthermore, offered compressor is available in various specifications and can be customized as per the exact requirements of the clients. Looking for Engine Driven Compressor ?